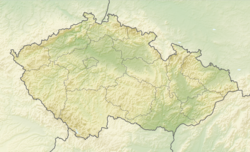 Česká Skalice (Czech pronunciation: [ˈtʃɛskaː ˈskalɪtsɛ]; German: Böhmisch Skalitz) is a town in the Hradec Králové Region of the Czech Republic. It has about 5,500 inhabitants. 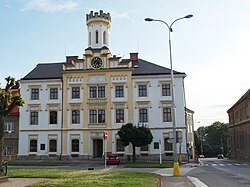 The modern history of the town is connected with textile production, tourism development, especially to the nearby Grandmother's Valley and Ratibořice's castle, and the development of private enterprise after the year 1989. In the part of the town Malá Skalice there is Museum of Božena Němcová and Textile Museum.